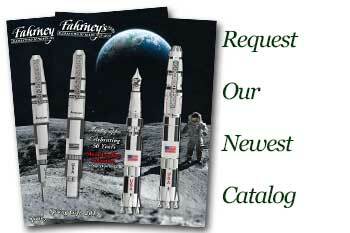 Order your Fahrney's Exclusive Circa French 7-Slot Pewter Pen Stand today from FahrneysPens.com. Fine Pens, Refills & Luxurious Gifts – great prices & fast shipping. The Circa 1900 French Pen Stand is beautifully hand crafted in solid pewter with individual U-shaped holders. It is modeled to strike an ambiance of circa 1900 French time period. 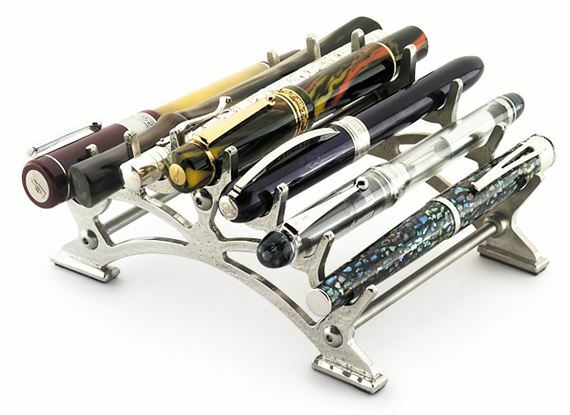 Each holder is large enough to display most pen sizes and will present up to seven of your favorites. The Tanco pen stand is artfully hand crafted in solid pewter and polished to a high luster shine to add a beautiful accent to any desk or table. Made with quality U.S.A craftsmanship, this pen stand was assembled with threaded support rods for stability and strength. Worth about $15, not $105. Not particularly well-made, and the slots aren't softened, so would likely have scratched the finishes on pens.